An Apple a Day .... keeps the doctor away and carries your groceries home too. This is one of 4 new handpainted fruit motives - available now! Dieser Beitrag wurde veröffentlicht am 28/02/2018 von lilly. An apple a day …. keeps the doctor away! More important than ever these days! Stay healthy everyone and enjoy the freezing sunny weather with warm thoughts of upcoming spring ☀️??! 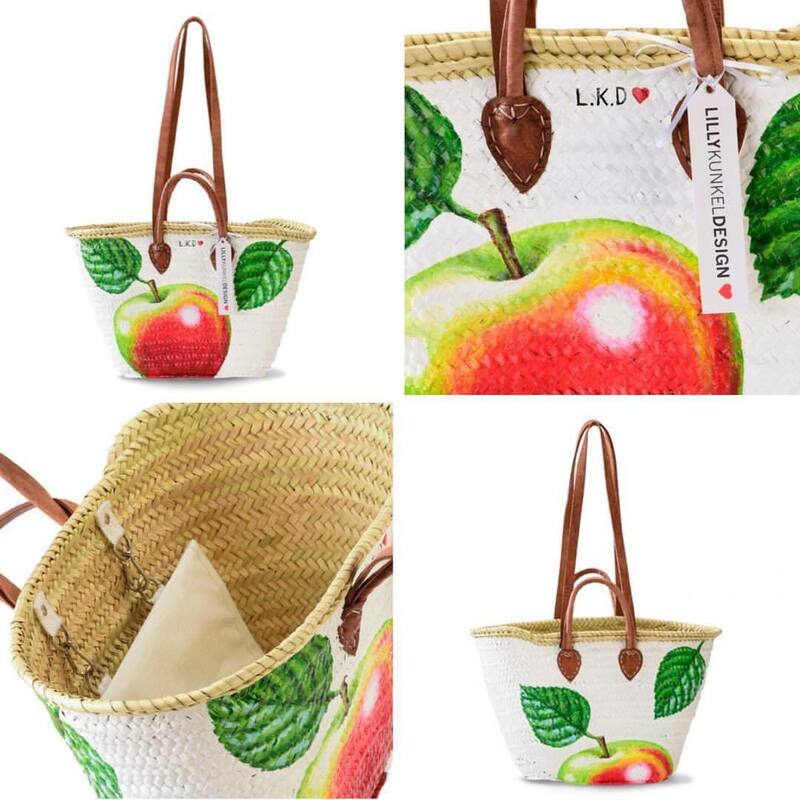 And if you still haven‘t found the perfect summer bag, your favourite handpainted fruit basket is waiting for you in our online shop!